Gardeners Bow is quickly becoming the go-to name for gardening in the E3 area. We can provide anything from landscaping to general garden maintenance and we work hard to bring you the most affordable prices possible. High quality, reliable gardening should not have to cost the earth. We believe anybody and everybody should be able to attain their dream garden, whatever it might resemble! That is why we aim to provide expert services, whenever you may need them. Call us to talk to one of our dedicated professionals. It can be a daunting task to undertake a garden clear out! If you need a reliable and swift service for your garden in Bow and the E3 district, then you've come to the right place. Maybe you have junk piled up high in one corner, or maybe the spring weeds have turned your beloved garden into a jungle! No matter how overtaken your garden might appear, our services can help out. We have great deals on patio and garden tidy ups in Bow. Once your garden has been cleared up, we can then swoop in with one of our landscape gardeners who can turn your garden into the kind of place you'd be proud to relax in. Is Your Garden in E3 Family Friendly? Are you a family with kids and pets? Are you worried that your garden isn't the safest or most appropriate environment for them to be in? We've been working with families throughout the E3 region to assess their garden and help plan what services to employ to make it a safe yet enjoyable place for everyone. Landscaping can help shape your garden, creating a family friendly space, and general maintenance and weed control can ensure your wide open green spaces are clean and tidy. Wherever your family's home is in the area, Bow gardeners are sure to be able to help with your garden. It can be surprising just how many things we can use our garden for. To ensure your garden is the multifunctional space you need it to be, get in touch and learn more about our huge selection of options. Do you hold parties and BBQs in your garden? 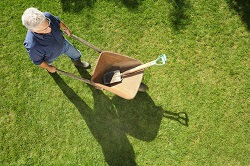 Our garden tidy up service can help. Do you have kids? Then our Bow landscaping services can make the garden safe for playtime. Do you sometimes just want to relax on the back lawn? Then maybe our lawn planting and mowing services are what you need! Whatever your needs are, we will have a suitable service. Have You Been Disappointed Before? Book the Best Gardening Help Today! It can be difficult to find a reliable gardening service that will be able to deliver the high quality, expert maintenance service you expect. You want your garden to be placed in the best hands possible and that is why we have recruited a team of local expert gardeners who truly care about their work. 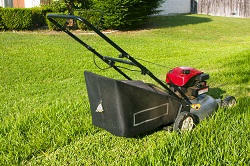 We search tirelessly to find the very best professionals who can provide all aspects of garden care in Bow. Our E3 team has been looking after gardens for years and our reputation is testament to their skill and experience. All throughout Bow, more and more home owners, business owners and landlords are coming to us for our expert gardening and landscaping services. Our experts have been helping both businesses and homes in the E3 with everything they might need to ensure their lawns or flowerbeds are kept in great condition. We can be swift, reliable and work to tight deadlines, so simply call Gardeners Bow to learn more about what we can do for you.